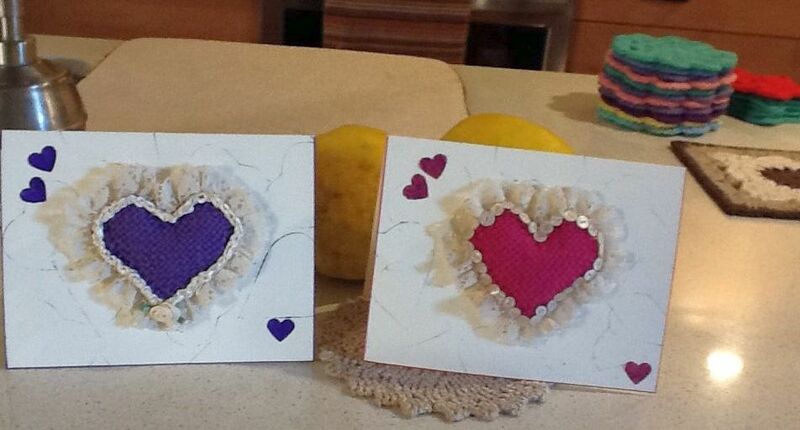 A weaver, Veronica, gave me permission to post her photo of the valentines cards she’s made with her SweetHeart loom. So pretty! These are keepsake cards for sure. She used a bit of lace and some sequins. I’ve made some, too. This one used $ store buttons. 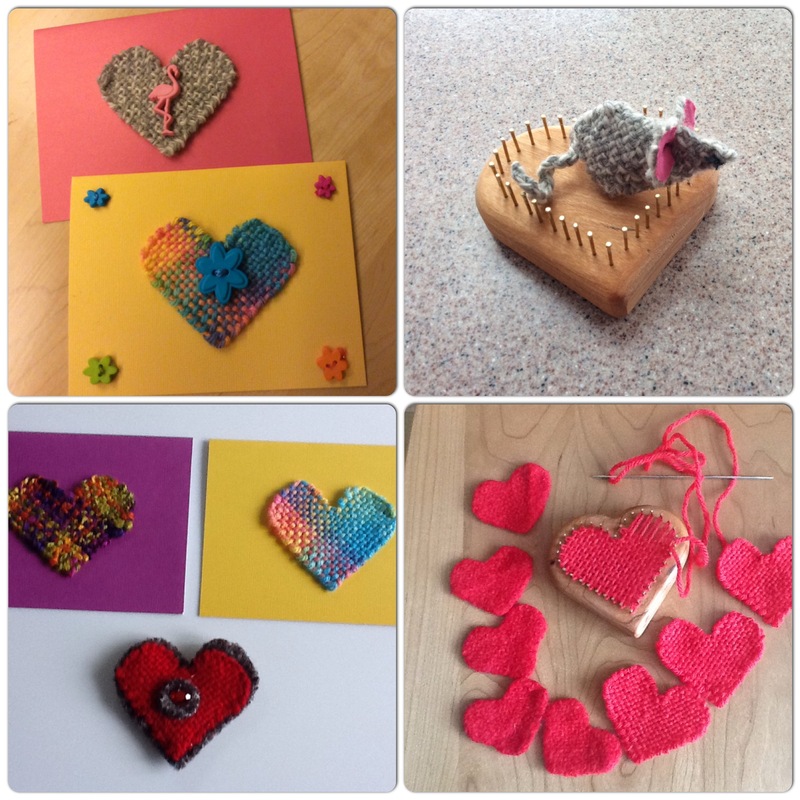 Here’s a few more sent me by weavers using the looms. 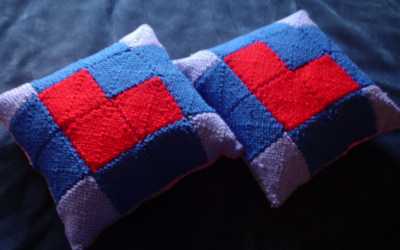 Regina’s “pockets” are little pillows you can fill with lavender or scented oils. Cinnamon would be nice. 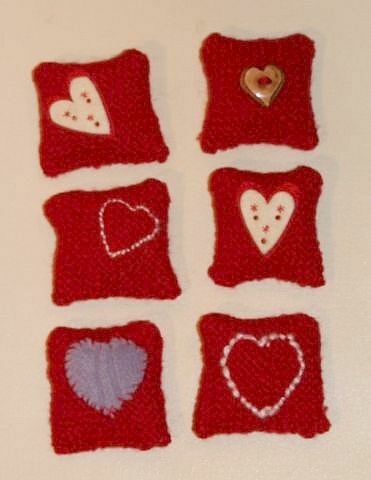 There’s still time to weave a Valentin for your favorite SweetHeart!